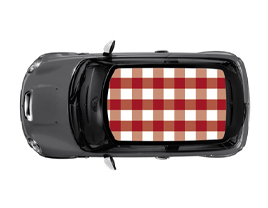 KesselsGranger DesignWorks designed the exclusive chequered roof graphic for the TOP of MINI design edition. This special edition was officially sold by MINI Nederland. VICI Racing has over 30 years of experience with racing Porsches. KesselsGranger DesignWorks designed the livery for their 997 GT3 during the American Le Mans Series. KesselsGranger DesignWorks supported the graduation project of Thomas Mooren of Fontys Automotive to give a Dakar rally car a livery inspired by CFD tests. Livery design can also be applied to smaller products. 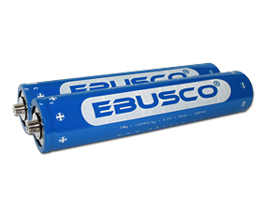 For the batteries of the electric busses of Ebusco, KesselsGranger DesignWorks designed the foil with recognisable Ebusco branding and product information. 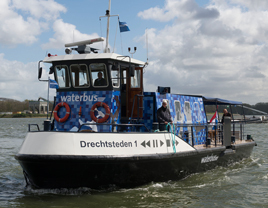 For King’s Day 2015, KesselsGranger DesignWorks designed a special livery for Waterbus. 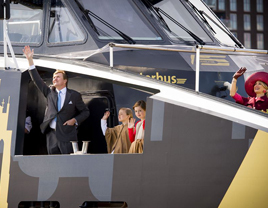 The Waterbus transported His Majesty King Willem-Alexander and Queen Máxima to the Groothoofd and afterwards participated in the Grande Parade. KesselsGranger DesignWorks designed the livery for the vehicle fleet of Sailer Sittard. The livery is an extension of the identity developed by KesselsGranger DesignWorks. In association with the title ‘Purveyor to the Royal Household’, Carrosserie Akkermans asked KesselsGranger DesignWorks to design a timeless livery for their vehicle fleet. 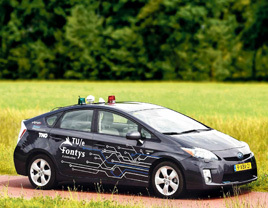 For the autonomous test car of Fontys Automotive and V-tron, KesselsGranger DesignWorks designed a livery with a technical / electric appearance. The stripes are reflective. 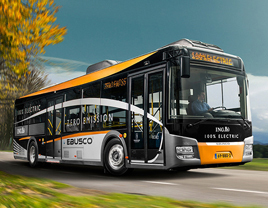 In preparation for the launch of the YTP1 fully electric city bus at the IAA in Hannover, Ebusco gave KesselsGranger DesignWorks the assignment to design a stunning livery. 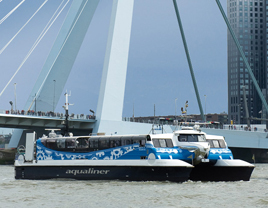 Aqualiner catamarans travel from Rotterdam to the RDM Campus / HTS and IPO of Hogeschool Rotterdam. For these special ships KesselsGranger DesignWorks designed a young and technical appearance. KesselsGranger DesignWorks was asked in 2013 to design a young and dynamic appearance for the ferry service between Kralingen and Feijenoord (Line 19). This new ferry service started in April 2014.